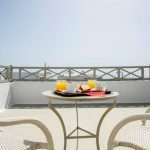 Nissos Thira Hotel ** - Explore the best destinations! 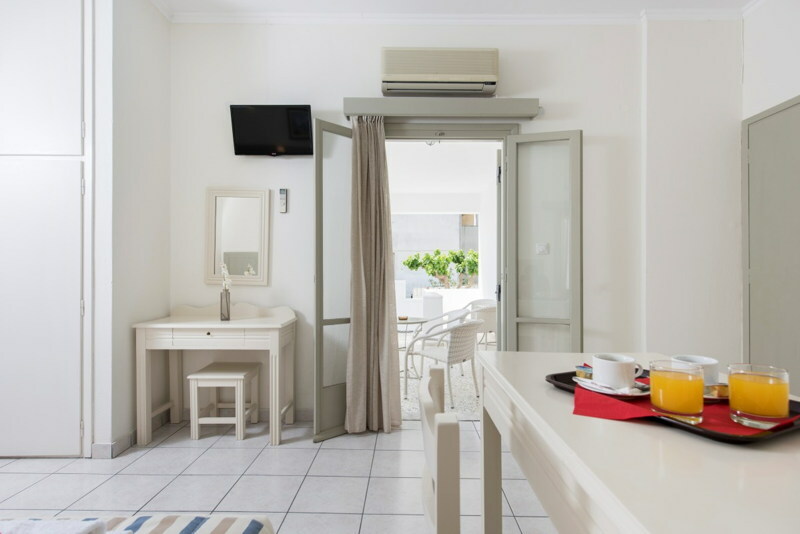 The privileged position of Nissos Thira Hotel, just steps away from the caldera and the main sights of the capital of the island, ensures that here you will enjoy a carefree stay and a beautiful vacation experience in Santorini. 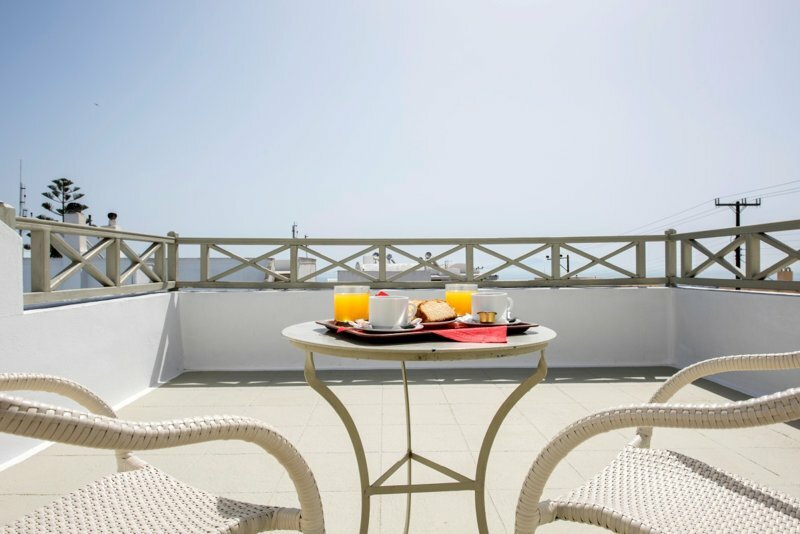 Accommodation in the heart of the island (Fira) and in the single, double and triple rooms of Nissos Thira Hotel. 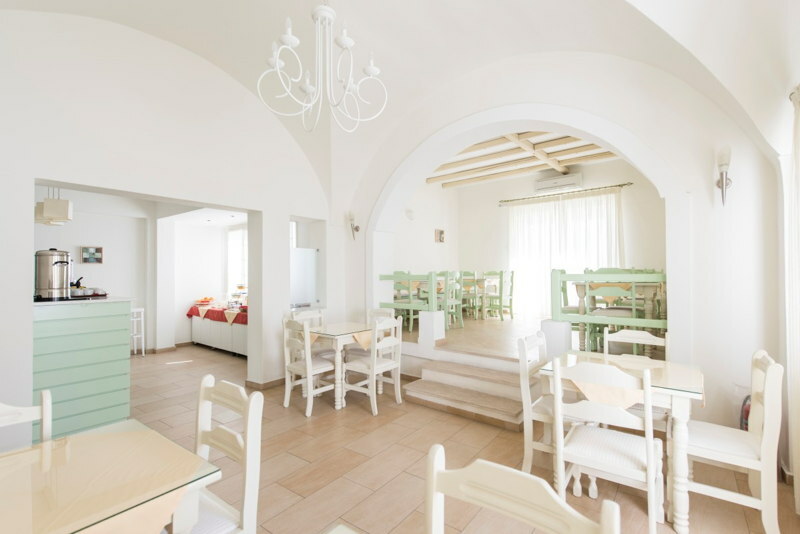 The Nissos Thira Hotel in Fira, Santorini, features indoor and outdoor lounges, an elegant breakfast room and a large swimming pool with garden. 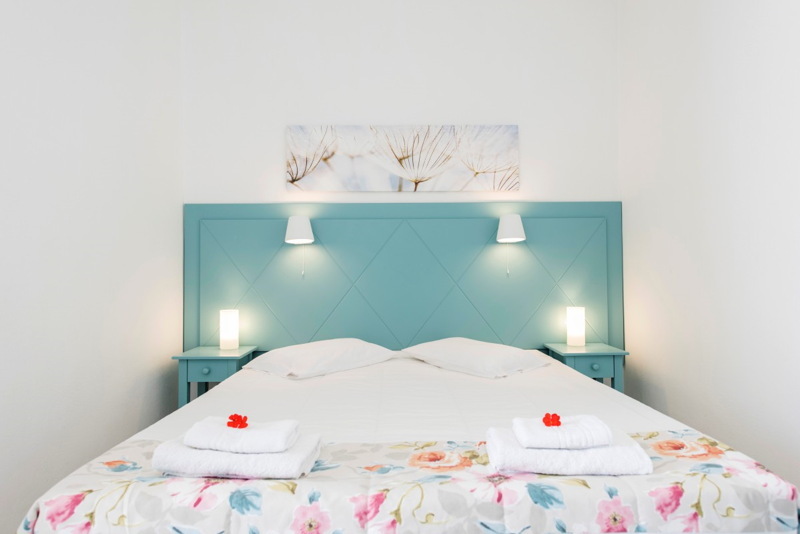 The single rooms of the Nissos Thira Hotel are ideal for individuals seeking a quiet stay in Santorini with all the comforts offered by the capital of Santorini and easy access to all the sights and points of interest of the island and enjoy a carefree stay on the island . 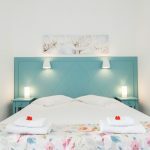 The double rooms of Nissos Thira Hotel are the ideal choice for both couples and friends who have a bedroom where you can relax and enjoy your stay in Santorini. The private balconies of these rooms overlook the pool or the street. 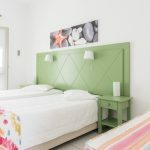 The triple rooms of Nissos Thira Hotel are ideal for families with a child or three adults find a beautiful choice of accommodation to relax and enjoy their stay in Santorini. 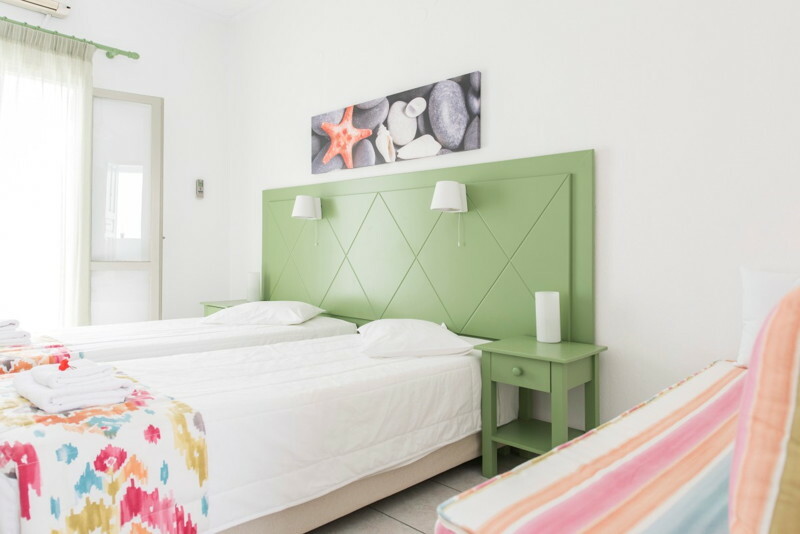 The rooms are in the triple standard category. 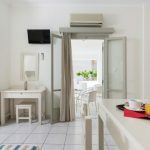 All rooms of the Nissos Thira Hotel (Single, Double, Triple) provide free wireless internet, balcony with pool or street view, telephone, satellite / cable TV channels, flat screen TV, safe, air conditioning, heating , Private entrance, soundproofed windows, bathroom with shower, hairdryer and fridge.